If you’re giving handmade earrings for gifts, or selling them at a craft boutique, these cards will impress. I created three different designs for you. The flower is a picture I took of a rose in my own backyard! Just print the templates on card stock and cut them out. There are three to a page. I made the shapes simple to eliminate cutting that will be too involved, especially if you want to make several. 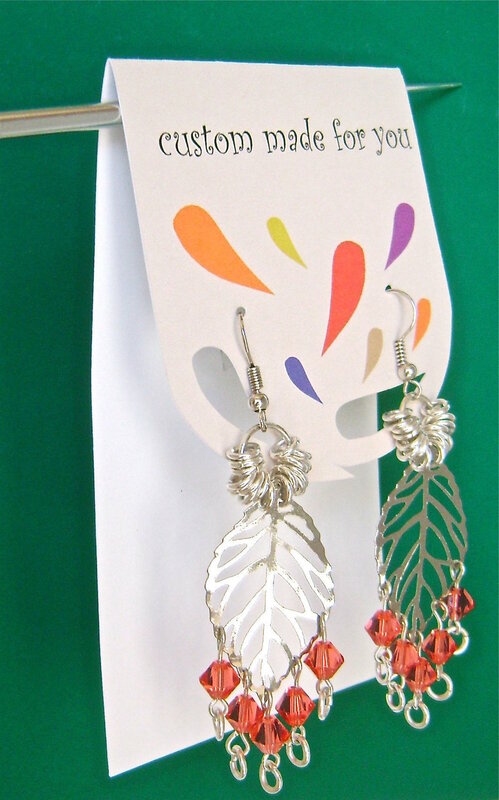 The colorful designs are printed on the end of a flat sheet then folded to create a flap on which to hang the earrings. There are many ways you can alter and add to these cards. I’ve pictured two further down the page. I’ve also offered downloadable cut files for Silhouette machine users at the bottom of the page. This is a very quick and inexpensive project anyone can make. 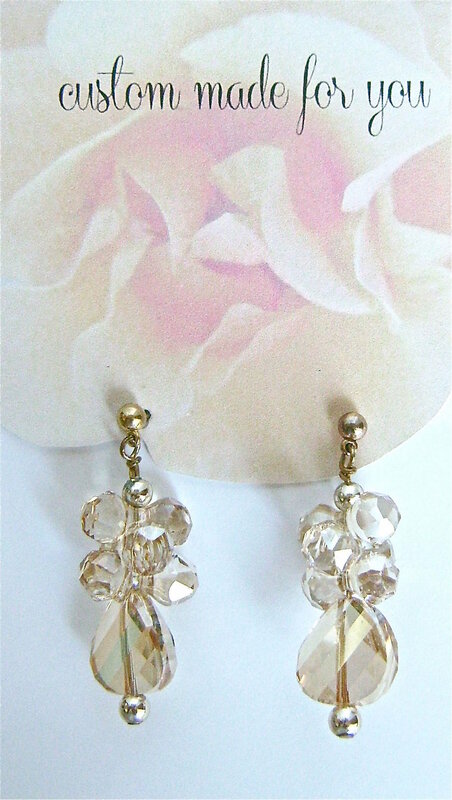 Your beautiful handmade earrings deserve a beautiful presentation to match! step 1 - Download the pdf or the Silhouette cut files at the top of this page. Print on card stock and cut out the templates with a craft knife or scissors just inside the black lines. Silhouette users - once printed, simply send the file to the machine for cutting. Note the horizontal lines between the cards. These indicate the fold line for each card. step 2 - Use a thick darning needle to create perfectly round holes for the earring wires where indicated by tiny circles on the printed page. Silhouette users skip this step. step 3 - Fold the printed flap with a sharp crease. Insert the earring wires in the holes and secure them on the back with earring wire clutches. At craft boutiques, earring cards are an easy way to display your work. Just hang the cards on a stiff wire. Glue colorful or textured paper onto the panel behind the earrings for more interest. Print or add a label with your name or additional message at the bottom of the card. The cut file were created in Silhouette Designer Edition V3. If you have an earlier version you may not be able to open it. Another option is to download the pdf template and instructions, copy the image, and trace it in your silhouette program.